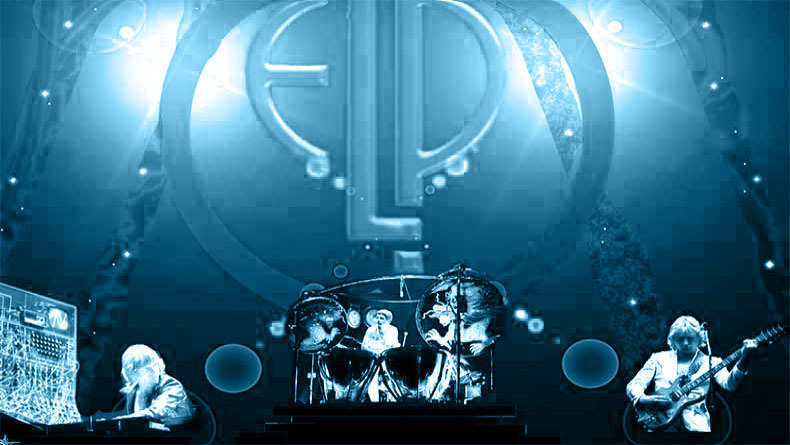 So… what do we know about ELP? One of their strangest legacies was the use of a chunk of the terrible, half-hour prog epic “Karn Evil 9” as the theme tune to “The Generation Game” in the 1990s. It goes on (and on, and on) to mention “the Gypsy Queen in a glaze of vaseline” as well as “seven virgins and a mule”. Although not on the BBC Saturday teatime version. I recall them being incredibly popular but never understanding why. My dislike has expanded now that you inform me that they are chummy with the charming Jim Davidson. Apparently John Peel described them as a waste of electricity. Always amusing to revisit the British Steel drum kit story. As a result of having to share a bedroom with his brother, NB10 knows the words to “Benny The Bouncer”. One of them was cynical about Christmas once, I heard. Nigel’s favourite band when he was 16, he tells us in an interview somewhere. eh? I’m sure I posted that in the ELO thread. Sorry. Pre the “ELP2” comeback, i believe he specified. The Nice were on television this evening. Keith Emerson stuck 2 knives into his organ. Both ‘KE9’ and ‘BtB’ were on their fourth studio album ‘Brain Salad Surgery’, which was named after a line from ‘Right Place Wrong Time’ by Dr John (I happen to know). Apropos post 6, what are the chances of the band doing “Benny the Bouncer” as a live cover? Suprised to find myself being the first person to note Keith Emerson’s suicide last week. If i was feeling playful i would mention “the curse”. Oops, there i go. @Toastkid – it was mentioned and discussed at length, both here (the dominant view being that “Emerson” is not actually named as an individual in any song), and in reference to the Holmfirth gig (where apparently “Tour Jacket” was requested but refused by Nigel on the grounds that people talk through it). GWA – aha, *that* thread. I suspected it would turn out to have been discussed in length somewhere.